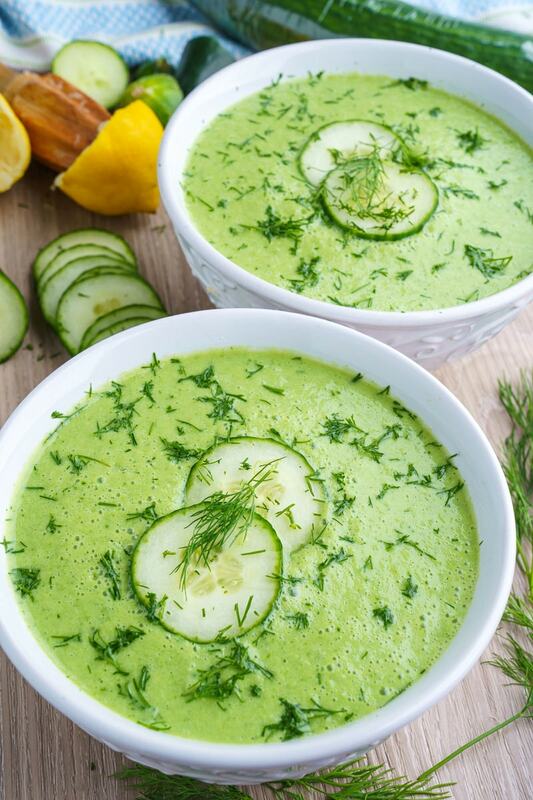 A chilled cucumber soup with yogurt, lemon and dill! Cucumbers are naturally crunchy, juicy and just full of water, perfect for hot summer days! 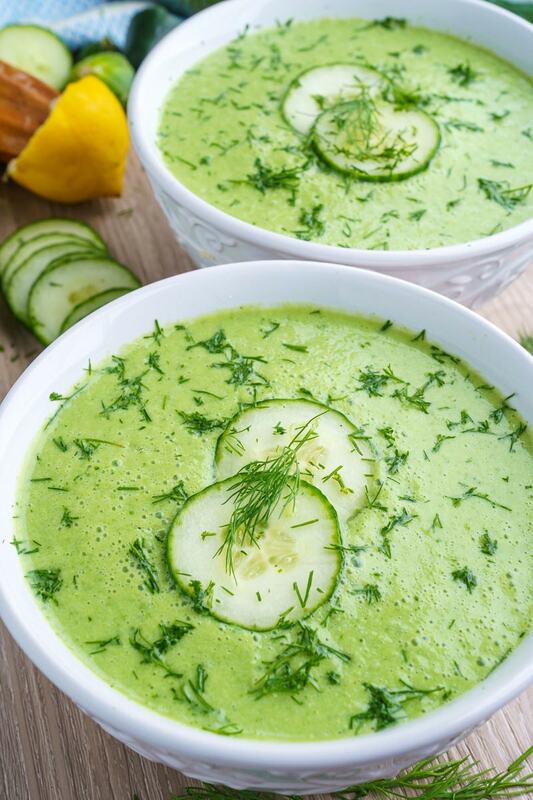 How a about a cool and creamy cucumber soup? 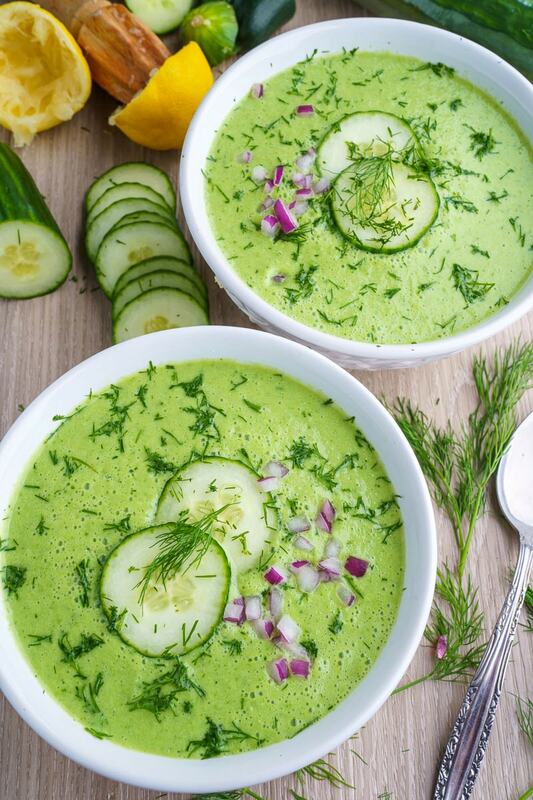 This cold cucumber soup is made without any cooking, simply by pureeing cucumbers, along with some extra ingredients for flavour, and chilling before enjoying! 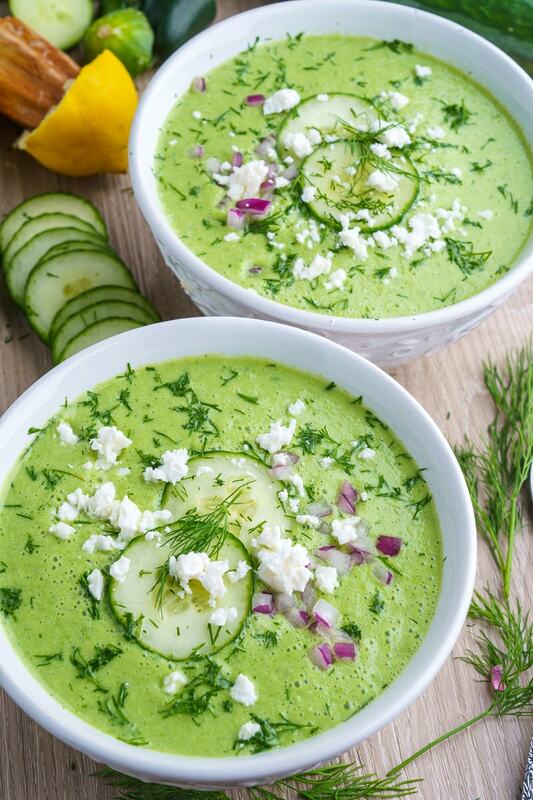 I like to go with some of my favourite cucumber flavour combos and I add lemon juice and dill with green onions and parsley on the side and yogurt to add a healthy creaminess to the soup. Once everything is pureed in a blender (and optionally strained) it sits in the fridge to chill and let the flavours mingle and come out. 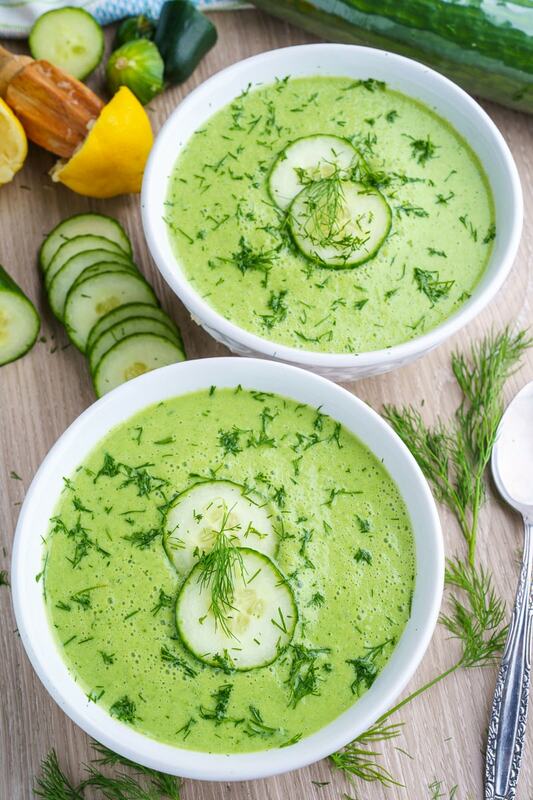 This creamy cold cucumber soup is amazingly refreshing for hot summer days! Puree everything in a blender along with enough water to get the desired consistency before letting chill in the fridge for at least an hour to over night. Option: Mix up the herbs! Tarragon is a nice option! Option: Strain the soup through a sieve for a smoother texture.